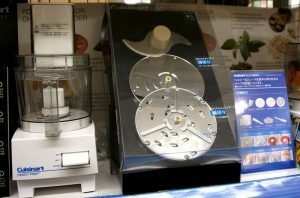 For any San Marcos residents who regularly use a Cuisinart food processor in the kitchen, it is extremely important to be aware of a recent product recall that could impact your family’s safety. In most households, we have come to expect that high-end kitchen appliances are safe for use. In particular, devices made by companies like Kitchenaid, Vitamix, and Cuisinart are supposed to provide decades of use as long as they are properly cared for by their owners. However, according to a recent article from ABC 10 News, the U.S. Consumer Product Safety Commission (CPSC), along with Conair (the maker of Cuisinart kitchen appliances), has issued a recall for millions of Cuisinart food processors. What is wrong with these small kitchen appliances? They pose a risk of laceration, and dozens of consumers across the country have already reported suffering serious mouth injuries as a result of the product defect. The defect is not in the small kitchen appliance as a whole, but rather in the riveted blade. How can you identify a defective blade? As the article explains, these blade have four rivets, the blades are made of stainless steel, and they are connected to a beige center made of plastic. There are 22 different model numbers that have been affected by the recall. If you own a Cuisinart food processor, you should immediately check the bottom of it to ensure that you do now have one of the following recalled model numbers: CFP-9, CFP-11, DFP-7, DFP-11, DFP-14, DLC-7, DLC-8, DLC-10, DLC-XP, DLC-2007, DLC-2009, DLC-2011, DLC-2014, DLC-3011, DLC-3014, EV-7, EV-10, EV-11, EV-14, KFP-7, and MP-14. Do not assume that your product was not affected simply because you have had it for years. The recall affects models that were made and sold between July 1996 and December 2015. In other words, a Cuisinart food processor that you have been using for the last two decades could cause serious injuries. If you do own one of the affected model numbers, you should stop using it immediately and should contact Cuisinart for a replacement blade. If you or someone in your family suffered injuries caused by a defective product, a San Marcos product liability lawyer can help. Contact the Walton Law Firm today to discuss your case.